Is Patrick Mahomes the NFL’s Next Superstar? Don't Believe the Hype (Yet). Kansas City Chiefs’ Patrick Mahomes has lit up the National Football League in his first seven starts of the season. However, critics who are calling him American football’s “next great quarterback”, the “next face of the NFL” and “the heir to Tom Brady” are getting ahead of themselves. 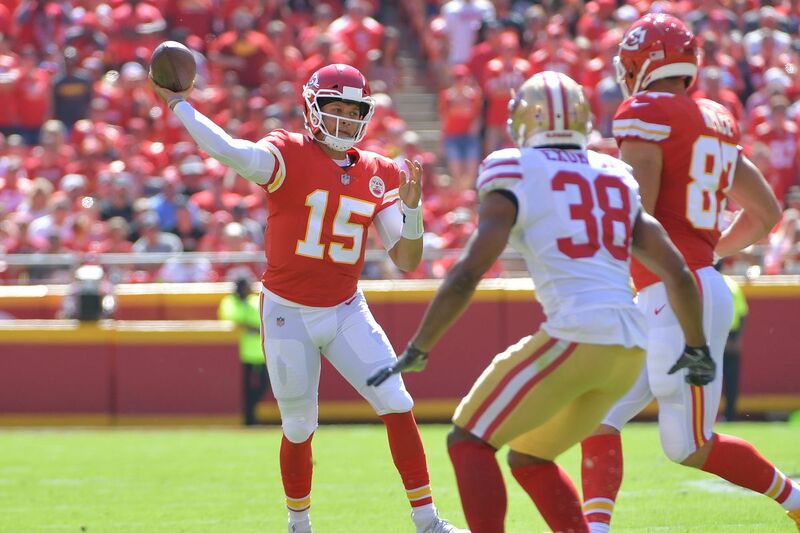 Mahomes, an unsung tenth-round pick in last year’s draft and back-up quarterback last season, delivered a record-breaking 10 touchdown passes in the first two games of this season. As of week 7, the 23-year-old leads the league with 22 touchdown passes. His team currently lead their regional division with six wins and a single loss, which came at the hands of legendary New England Patriots quarterback and five-time champion Tom Brady. Mahomes held his own against Brady: while the veteran playmaker completed 24 of 35 passing attempts to gain total ground of 340 yards and threw one touchdown pass, Mahomes completed 23 of his 36 passing attempts for 352 yards and made four touchdown passes. Those are impressive stats, but several factors must be taken into account when judging his potential. For one, the NFL has introduced new rules to protect quarterbacks after several years of the league’s highest-profile players suffering season-ending injuries and TV ratings falling as a result. The position has become easier to play, and Mahomes is one of the beneficiaries. The impact of new restrictions on defensive players can be seen in improved ‘Passer Rating’ scores, which measure the efficiency of quarterbacks. Eleven years ago, the average quarterback had a passer rating of 83; 27 quarterbacks are currently eclipsing this figure. Aaron Rodgers of the Green Bay Packers has the highest career passing rating with 103.7 – nine quarterbacks boast higher scores at the moment, including Mahomes at 114. Greater freedom and safety for quarterbacks have also changed offensive strategies in the league. Teams are running less and relying more on the passing game: they’re averaging 255.7 passing yards per game - 20 yards more than five years ago - and six teams currently average more than 300 passing yards per game, which a total of six teams managed in the past five seasons combined. The result has been higher-scoring games, flattering the stats of quarterbacks. Mahomes is an exceptionally talented quarterback who has made an outstanding start to his season. But he’s benefited from the rule changes and the new style of play, complicating comparison to quarterbacks from previous seasons. The real test will be whether he can deliver when opposition defences wise up and adapt to the new regime. Joining the ranks of all-time greats will also require him to consistently outperform against a range of opponents, lead his team to multiple Superbowls, avoid injury and scandal and foster strong ties with his coaches and teammates, none of which are guaranteed. Until he proves himself to be an outstanding player over an extended period, critics should refrain from throwing too many superlatives around.